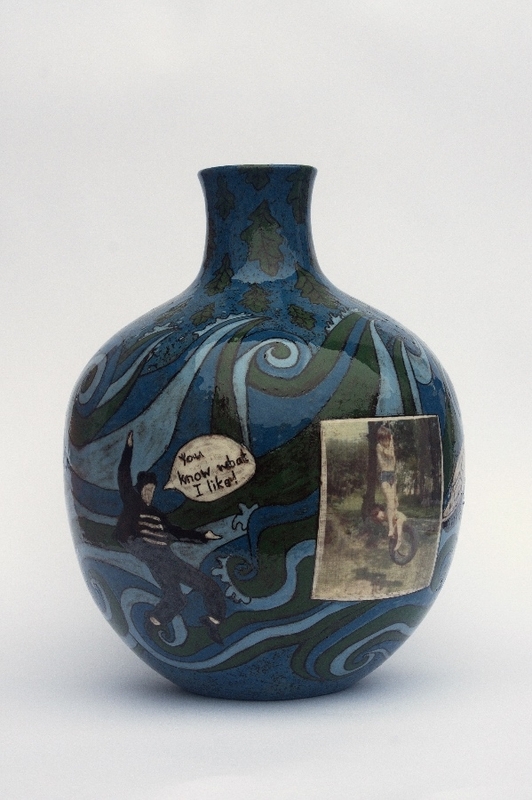 Pots are hand built from earthenware clay using traditional coil methods. The coil layers are built up from a slab base, a versatile method allowing a natural form to slowly evolve, in keeping with the intimacy of the process. These are decorated with layers of coloured slip and burnished. 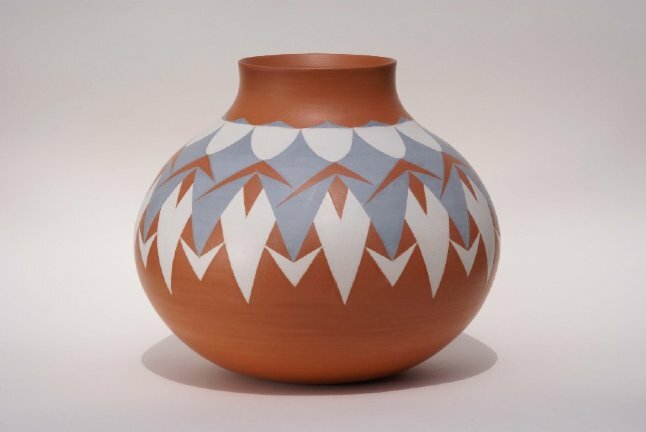 My earlier influence comes from the ancient art of the American Southwest pottery involving geometric patterns. 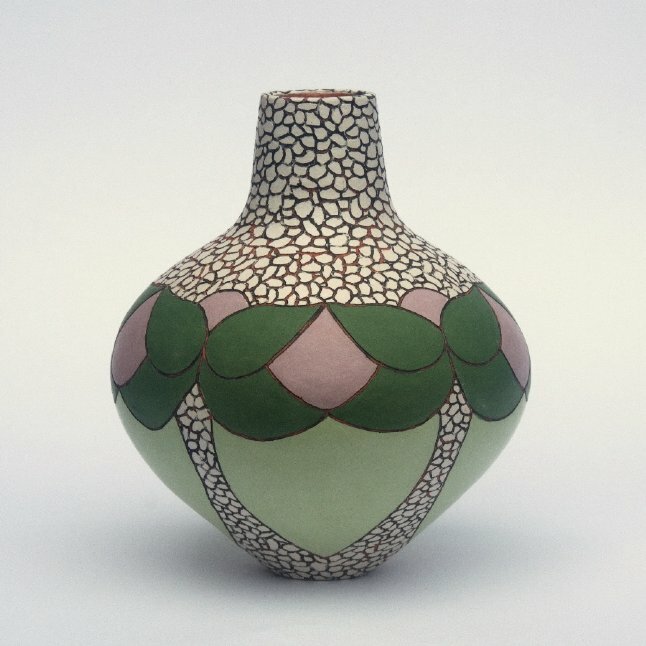 The natural colour of the clay is incorporated in the design and is necessary to the completeness of the earthy forms. The concentric markings left by the burnishing create a subtle, textural appearance, recalling the essential qualities of hand built ceramics. My interest with the natural environment provides a great deal of inspiration to my work. 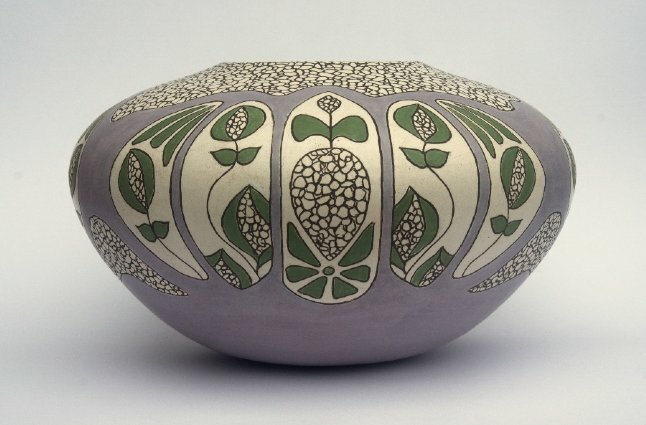 I find this combines harmoniously with my rhythmic, floral designs and also the organic stylistic elements of art nouveau. My recent adventures overseas is also influencing my work. This has occurrred not only through my experiences of indegenous floras and faunas, but also the symbolic patterns of Maori culture.